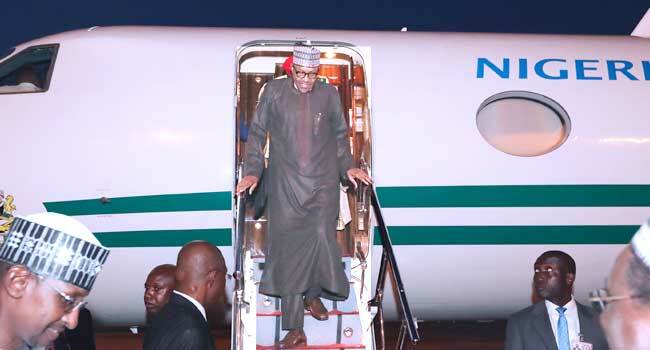 President Muhammadu Buhari has returned to the country from his 10-day vacation in London. The presidential aircraft touched down on Saturday evening at the Nnamdi Azikiwe International Airport in Abuja, the nation’s capital. Ahead of his arrival, a Guard of Honor was mounted at the airport to receive the President who departed Nigeria for the United Kingdom on August 3. Prior to his trip, President Buhari had handed over power to the Vice President, Professor Yemi Osinbajo, in acting capacity while he was away.